At LJ Dentistry, we never want cost to deter anyone from getting the necessary treatment they need. Whether you have dental insurance or not, we understand that cost can be a concern for our patients. We offer a wide range of payment options, and we make every effort to help you work within your budget to get the treatment you need and deserve. We are an insurance-friendly dental office, which means that we work with many different dental plans. We understand that dental insurance can be confusing and you may not understand how your benefits work. Our knowledgeable staff is here to answer your questions about your benefits and help you understand how to maximize them. Contact our office to learn more about dental insurance. We’re happy to help you. We offer CareCredit as an option for patients who are interested in making easy monthly payments for their treatment. CareCredit breaks your total treatment cost into affordable monthly payments. The application process is simple and you will receive a quick response. Contact our office for more information about how to apply for CareCredit. Patients can pay for office visits, cleanings, and other treatment procedures with cash, check, and credit or debit cards. 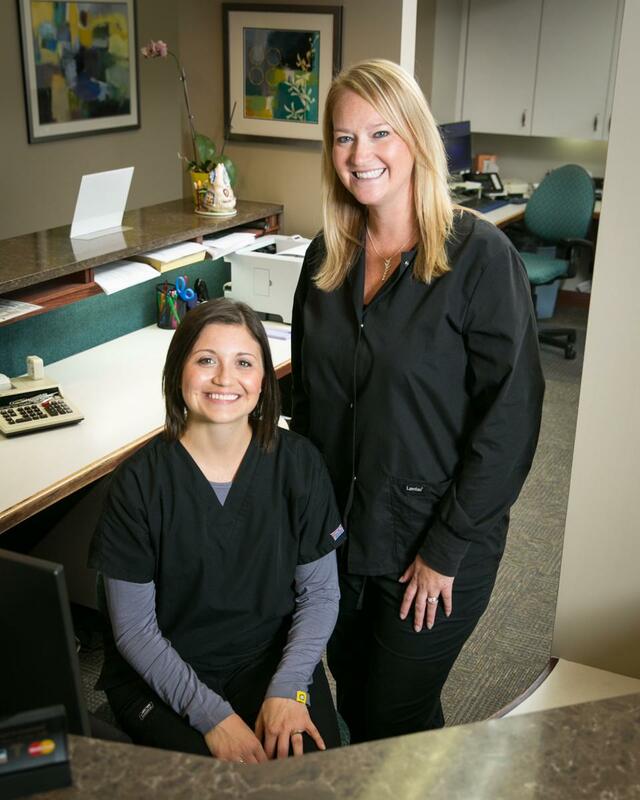 Our friendly patient coordinators are here to help you determine the most convenient payment option for your needs. Contact our office to learn more about our payment options.